This light, tough trowel is suitable for all gardening work. 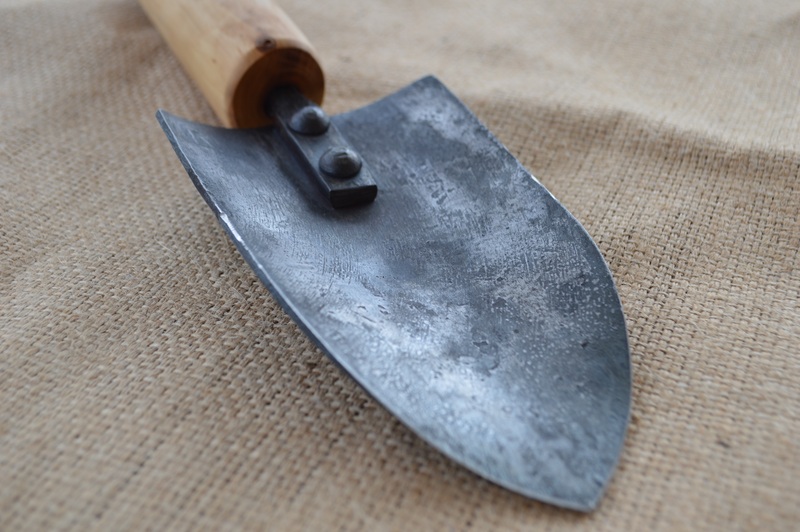 Hand forged from a reclaimed saw blade and fitted with a handle made from locally harvested hardwood, this trowel is wholly unique. The sharpened, carbon steel blade is riveted to a 4″ tang, which ensures a sturdy and secure connection to the wooden handle. 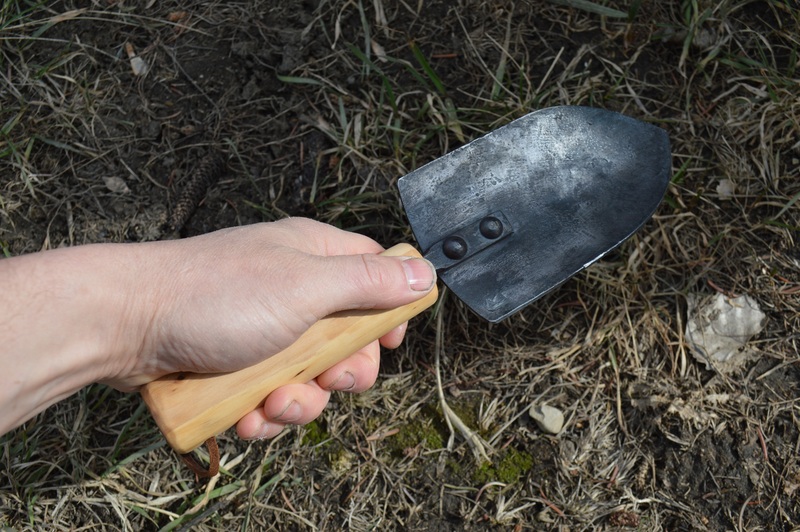 This trowel is suitable for digging in all soil types found in gardens. 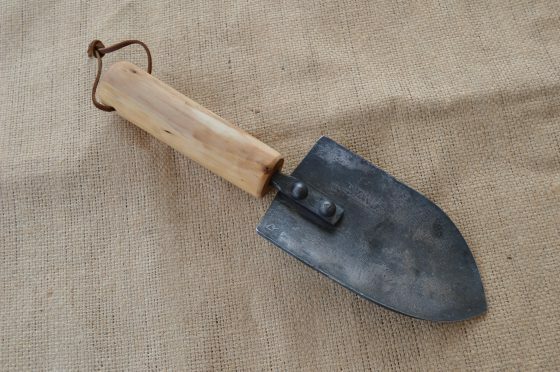 The handle is hand carved to fit the hand snugly while making every trowel unique. 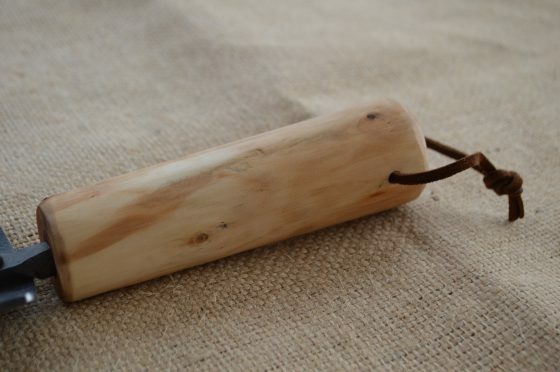 A linseed oil finish is applied to protect the wood and steel. 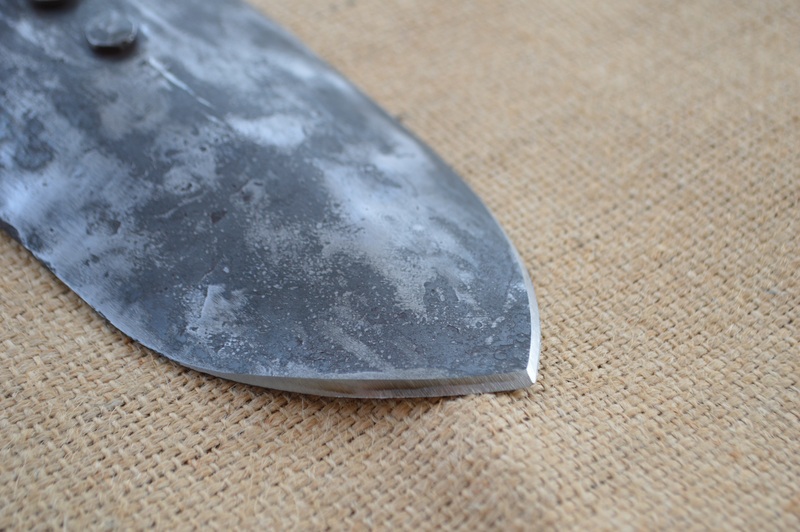 A yearly reapplication will help preserve the tool’s quality and appearance. 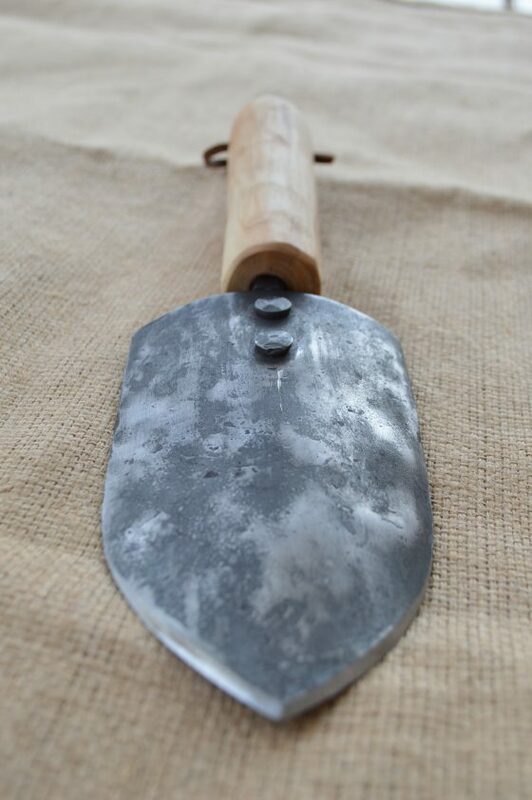 Every trowel I make is a unique piece of functional art; no two trowels will look exactly the same.